Preparing for Snowmageddon ’18: Forecasters have been keeping a cautious eye on a weather system that most seem to agree will bring a significant snowstorm to Asheville and Western North Carolina this weekend. My go-to weather forecaster, Ray’s Weather, says this storm system “has the potential to be the biggest snow event overall since 1996” and should be taken seriously. Forecasters will have a lot more detail in the next couple of days, so stay tuned. It’s time to start getting your facial hair game on point ahead of the Keep Asheville Beard mustache and beard competition at Hi-Wire Big Top in February 2019. The event is tied to the Xpand Fest music festival. A Malaprops Cafe and Bookstore pop-up bookstore will open in downtown Hendersonville next year alongside a new theater company, The Center for Art and Inspiration, which is taking over the former Flat Rock Playhouse space on South Main Street, the Hendersonville Lightning reports. Job alert: RomanticAsheville.com is looking to hire a full-time travel editor/content manager. 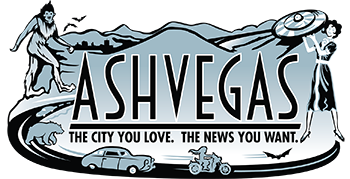 My friend Mark File has built RomanticAsheville into a powerhouse of a website that gets massive traffic and helps tell visitors about all the cool stuff Western North Carolina has to offer. He’s really looking for an ambassador for the region as much as a writer/editor. Send a resume along with a cover letter describing your passion for the region and fit for this role to careers@jbmediagroupllc.com (PDF format). Growth is headed north along the Riverside Drive corridor from Asheville into Woodfin: The French Broad Chocolate Factory just opened its big new facility on Riverside at the Asheville/Woodfin line. Zillicoah brewery just celebrated its one-year anniversary in Woodfin, also near the Asheville/Woodfin line. And the town of Woodfin early next year will start building its “play wave” in the French Broad River as part of a major greenway/blueway project. What’s the status of the pending sale of nonprofit Mission Hospital to for-profit HCA Healthcare? The N.C. Attorney General is still collecting information and has not yet begun his review, Carolina Public Press reports here and here. The Asheville Citizen-Times reports that the Attorney General also has specific concerns. The Asheville Regional Airport, one of the fastest growing small airports in the U.S., is on track to surpass the 1 million passenger mark this year, a first for the airport, which has added several new flights this year. Summit Crossfit has announced that it is opening a second location at the Xcel Sportsplex in Hendersonville. Summit owners Aaron Ledford and Alissa Hanan also announced that a couple has joined them as owners in the business, and will be handling more of the day-to-day operations at their current location off Thompson Street. Asheville is becoming synonymous with bears following a year of unprecedented bear-human encounters, some of it cute and friendly, and some of it pretty darn dangerous. The Charlotte Observer reports that city officials are working with N.C. Wildlife Commission officials on possible solutions, but right now there aren’t good options, many of which center on taking food/garbage accessibility away from the bears. Also, Blue Mountain Pizza is opening a brewery and restaurant on Riverside Drive in Woodfin!